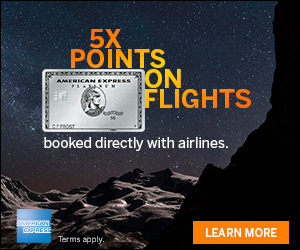 SPG is out with some targeted offers for bonus points. 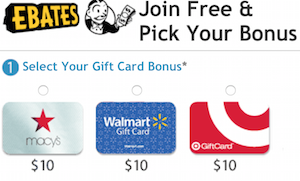 Go here and enter your SPG number to see if you were targeted and which offer you received. Here is what I got, an offer for up to a maximum of 6,000 Starpoints. Please post a comment with what offer you were targeted for in the comments section and if you’re looking for a way to earn even more Starpoints, you may want to consider the Starwood credit cards, Starwood Preferred Guest Credit Card from American Express and the Starwood Preferred Guest Business Credit Card from American Express. Book and you’ll earn 2,000 bonus Starpoints on your second completed stay, 2,000 on your fourth completed stay and 2,000 on your sixth completed stay — up to a maximum of 6,000 Starpoints. Eligible member must register by October 15, 2016, 11:59 p.m. ET. Member can earn 2,000 bonus Starpoints® after the second (2nd) eligible paid stay, 2,000 bonus Starpoints after the fourth (4th) eligible paid stay, and 2,000 bonus Starpoints after the sixth (6th) eligible paid stay. 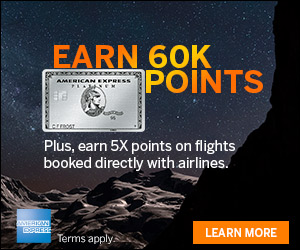 As part of this promotion, member may earn a maximum of 6,000 total bonus Starpoints for six (6) eligible stays from August 15, 2016, through November 15, 2016 (the “promotion period”). This promotion is not transferable. Bookings made prior to the promotion period are eligible, but only eligible stays consumed during the promotion period will earn a bonus. An eligible stay is a stay with at least one (1) eligible paid night at any of the over 1,300 SPG® participating hotels and resorts paying an eligible paid rate during the promotion period. An eligible rate is any rate that is eligible to earn Starpoints in the Starwood Preferred Guest® program. Free Night Award stays and Cash & Points Award stays are not eligible toward promotional Starpoints earnings. SPG participating hotels and resorts can be found at spg.com/terms under section 1.2. A description of eligible stays and eligible rates can be found at spg.com/terms under section 2.1. Please note that certain prepaid rooms where the booking is made through a third party (including but not limited to travelocity.com, expedia.com and booking.com) are not eligible rates and do not earn Starpoints or qualify toward promotional earnings. This promotion is nontransferable. This promotion may be combined with other Starpoints promotions in market during the same time; however, earnings are exclusive of each other. Nothing mind blowing here with my offer but, since I stay with SPG regularly anyway, I will certainly take the bonus points! Post a comment with which offer you were targeted for. I got an extension for double credit towards elite status. I already re-earned platinum with the double credit offer last quarter. Not sure I’ll do anything with this since I’m on my way to requalify for Hilton diamond in this back half of the year.